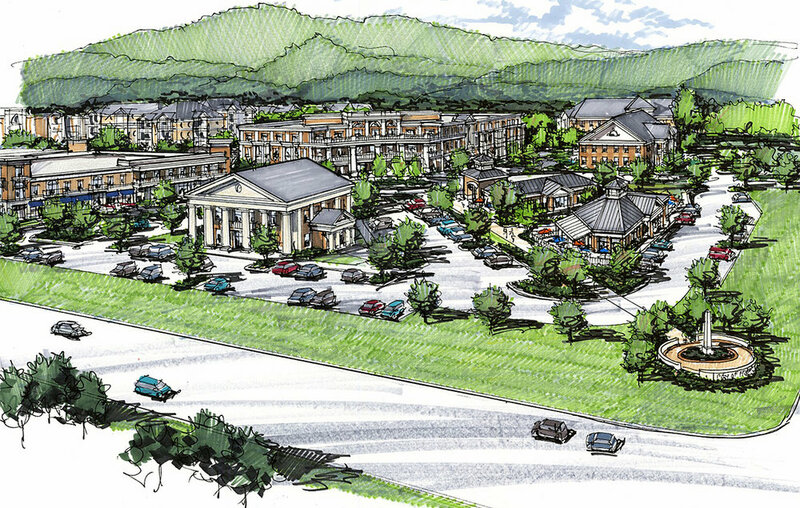 Camden Commons is a mixed use development located in historic Franklin, Tennessee. The streets are lined with retail establishments topped by housing units, creating a vibrant and active street scene. Restaurants, banks and offices are located strategically at the intersection of Franklin Road and Moores Lane. Approximately 140,000 square feet of commercial space supports the 420 residential units. Formal open space is abundant for leisurely strolling, outdoor dining and active sports. 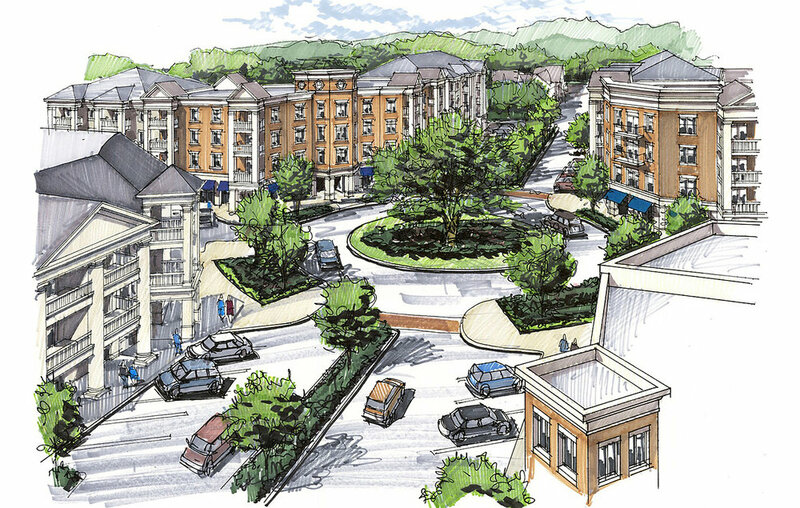 Kline Swinney Associates designed the twenty-acre Town Center and developed the design for many of the individual structures within this development.